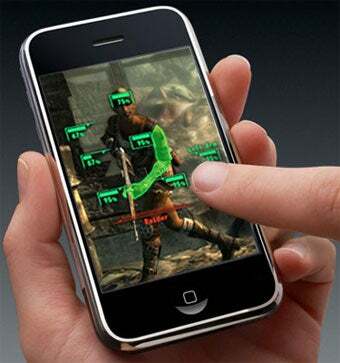 At the New York Comic Con today, Bethesda Softworks executive producer Todd Howard, responsible for overseeing Fallout 3 and The Elder Scrolls series, said that one of his company's next project is an iPhone game. Howard dropped the news of pursuing Apple's portable platform during today's "Vs. Mode Live" panel, in which he, BioShock lead Ken Levine, Newsweek's N'Gai Croal and MTV's Stephen Totilo flapped their gums about games to the delight of Comic Con masses. Croal dropped word of the reveal on his Twitter, offering no further info. For all we know, it could be Fallout Touch. Bethesda is no stranger to portable development, publishing The Elder Scrolls Travels for Java-enabled cell phones and Nokia's N-gage. Additional highlights from the panel can be reviewed at MTV's summary of the roundtable.